California-based Patriot has been in business since 1985 and while their gaming division Viper might not carry the name recognition of Logitech or Razer, they are aiming to grow their market share with unique, quality products aimed at PC gamers. I recently had the opportunity to review the Viper Gaming LED Mouse Pad, which was a solid product that had good build quality. 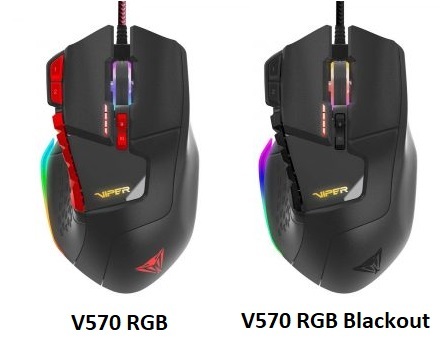 Along with the Gaming LED Mouse Pad, Viper also shipped me their V570 RGB Blackout Edition Gaming Mouse, which is an update to their popular V570 RGB. Read on to see how it performs!